Radu Oprea is the co-founder of tagDiv, a company that focuses on building amazing blog, news, and magazine WordPress themes. He’s also the senior developer behind the Newspaper and Newsmag themes; which are used to power thousands of WordPress sites across the globe. tagDiv has sold well over 92,000 copies, making them a Power Elite Author on ThemeForest. You can find Radu on LinkedIn. This is our recent interview with him, as part of our Kinsta Kingpin series. Q1: What is your background, & how did you first get involved with WordPress? I’ve been a computer science passionate since always. Curious about the way my computer worked, I’ve started programming and loved it. The online environment became my playground, and I’ve easily gone from experimenting with desktop applications to creating websites as a hobby. Back in 2007, Romania was making progress with online payments, and I’ve started my digital experience with several projects. Most of them didn’t work out, but some of them did. I kept testing new ideas although my family and friends were teasing me about getting a real job. Still looking for that perfect WordPress host? Try Kinsta’s premium managed WordPress hosting to experience your site without problems. In 2009, I was working on an uptime monitoring service and needed to build a website for it. At first, I’ve tried to create a static website. Believe me, it was a nightmare to maintain this, without a simple site generator like the nowadays Hugo framework. And that’s the moment when my WordPress adventure began. Me and Marius Padureanu got together and co-founded tagDiv brand as a premium WordPress Theme author and entered the Envato ThemeForest Market. Q2: What should readers know about all the stuff you’re doing in WordPress these days? For the last 6 years, here at tagDiv, we build professional tools for news, blog, and magazine websites. Since the beginning, our only purpose was to develop the easiest integrated system for getting content published on WordPress. We’re still on track with it. We released Newspaper in September 2013, and Newsmag in November 2014. In a short time, we got known in the news industry, and we are currently a Top Envato Author, with over 92,000 happy customers. 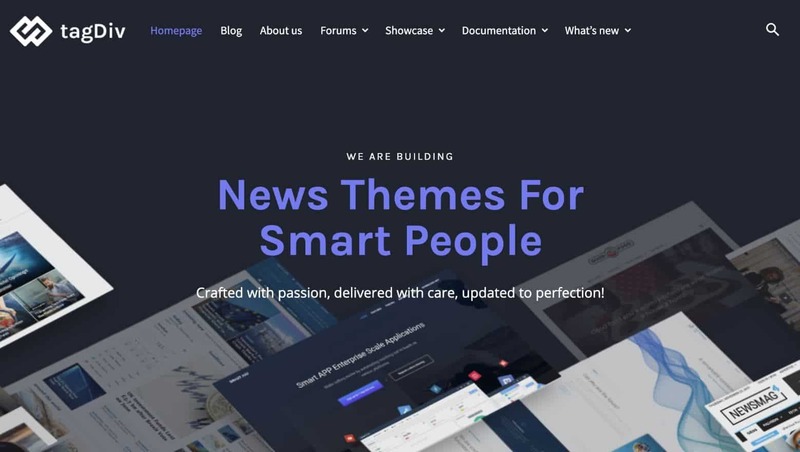 Due to its intuitive and front-end interface, companies like Uber, Share America, Bitcoin News or Rackspace are using Newspaper for their blogs. 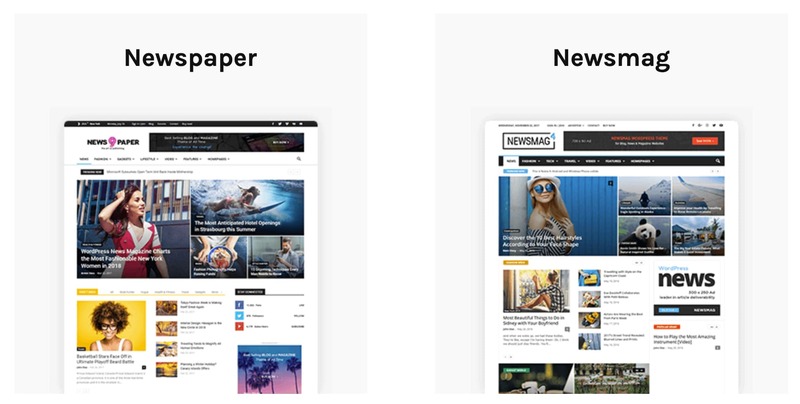 We are constantly improving and adding new, flexible features to the Newspaper theme, giving our customers the joy of focusing on their content. That’s why we came up with the idea of creating our own page builder – tagDiv Composer – to let users drag & drop blocks and elements to create everything live, from posts, categories, to headers, pages and even more. Behind the doors, there’s a great team, a lot of work, tons of coffee cups, and brainstorming meetings to find the easiest paths. Like any software development company, we were facing different problems in our projects, so we’ve created custom solutions to them. We wanted to set our products apart from others, so we are designing every string to create an unmatched experience for our customers. Q3: What challenges did you face in getting to where you are now professionally? We basically started our WordPress journey in a spare room at my parents’ house, and after a while, we moved to a tiny 70MP house. Well, the beginning was hard. Setting aside our wish to have a comfortable place to work, the greatest challenge was finding the product/market fit. That took us a year of actual testing of different WordPress themes, systems, and understanding how things work in this marketplace. Started as two (people), we are now a team of 17 enthusiastic and hard working programmers, designers and marketing specialists. And we’re all helping our customers succeed with their projects on a daily basis. Q4: Has anything surprised you while coming up in the WordPress world? Yes, definitely. The WordPress consistency of improvements. They yearly come up with great updates and flexible solutions, giving us the opportunity to improve our products. Just take a look at the Gutenberg. This is a huge improvement compared with the early versions of WordPress. Moreover, the experience for beginners is incomparable. Also, I’m surprised by the care that WordPress developers have to keep the backward compatibility. Whenever WordPress launches a new version, they make it easy for us, developers to update our products. This means that if a piece of software for WordPress is written five years ago in PHP, can be adapted to work seamlessly on the latest version. With our theme’s core and their new system, we made the transition smoothly. Q5: What does the future look like for you in the WordPress world? For building awesome websites, there’s a mandatory call for useful, yet intuitive tools that can ensure a great user experience. With every feature added, we’re approaching our goal to create the complete publishing experience for our clients. We consider each small step as a big achievement. From our page builder, tailored for the blogging and news industry, to the newly crafted Header Builder and all its components, we are one step further. I can only reveal that we’re currently working to extend our tagDiv Cloud Library, (which is a huge collection of pre-designed templates you can mix and match with live editing) to give users the ultimate solutions to build amazing websites, without coding skills, or time waste. Q6: What do you look for in a WordPress host? I believe that some of the most important things when looking for a WordPress host are the system’s uptime ratio, security, the availability of servers on different continents and responsive support service. I’ve gained a lot of experience while managing Linux servers and I know firsthand how hard it is to keep running a site safely on your own. With this background, I’m always interested in finding more details about what available hosts can provide for you. Sure, it’s also important to have a user interface from where you can efficiently manage the hosting services for all your websites. Q7: What do you enjoy doing when you’re away from your laptop? I guess I can’t stay away from my computer for too long. When I’m not coding, tinkering with hardware components or playing PUBG and Overwatch, you can find me in the gym doing my workout routine. I’m also trying to spend as much time I can with my friends and family. We have some wonderful skiing resort at 2-hour car ride, so on weekends, I go there with my friends. In the summer, we take biking expeditions in the mountains around the city. Q8: Whom should we interview next & why? I would suggest getting a talk with Aigars Silkalns from Colorlib. He founded the company in 2013, and six years later, it is a successful, and reliable resource platform for the WordPress community. The post Kinsta Kingpin: Interview with Radu Oprea appeared first on Kinsta Managed WordPress Hosting. Submit a Comment Click here to cancel reply.